Let Latrice provide the vocal entertainment behind the crisp sounds of a live band for your clients and customers, as they dine the night away, listening to the world's most favorite Pop, R&B, Adult Contemporary and Jazz renditions of the great artist from years past to present... Give your patrons the experience of a lifetime as Latrice sets the ambiance for your establishment. Need a band to carry the party? Don't need a full band? Have a band already but no singer? Only want to hear a song or two? Latrice can assemble any size band to meet your entertainment needs and budget. 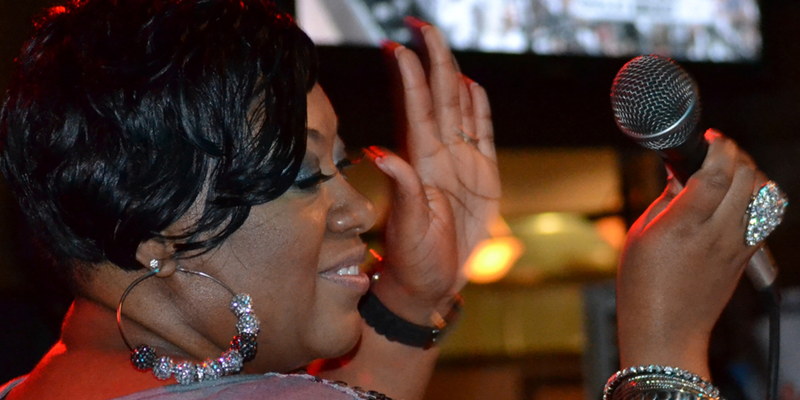 Latrice can fill other entertainment needs by just performing a select song or songs of choice. Latrice can also accompany any band you may have already hired. If you just want to have Latrice sing that special song for your spouse, significant love one, best friend or whatever the special request may be, Then Latrice is the one for you!!!!!!!!!! Book now to reserve your solo!!!!!! Latrice can provide your event with the singing of the National Anthem. She has performed the National Anthem at numerous events to include Military Change of Commands and Retirement Ceromonies, the WNBA's Washington Mystics professional basketball games, MLB's Washington Nationals, the semi-professional baseball team Southern Maryland Blue Crabs games and other benefit organizational events.